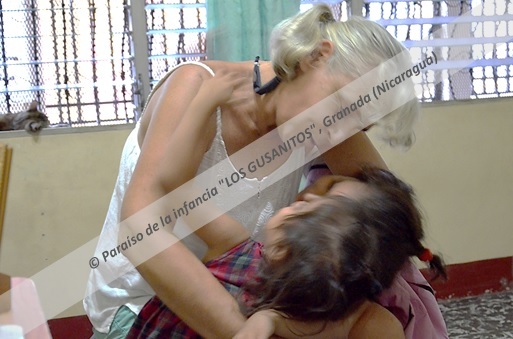 Priska Buchmann Scherer is the main power behind the project Paraiso de Infancia “LOS GUSANITOS“. In 2008 she came to Nicaragua with the idea to help in a charity project to gather experiences. Shook by the enourmous number of homeless children, teenagers and elders in the city of Granada she decided to do something against it and searched for a chef in the barrier of San Matias. Her backpack filled with nourishments like rice, beans, tortillas and bananas she strolled through the streets of Granada in order to provide the people with food and to get to know their stories. After these first experiences she devoted herself to several charitable jobs; in the streets, in a hospital, in a school, in a school for disabled people and in a social centre. In febuary of 2012 she rented a house in one of the many poor neighbourhoods of Granada with the intention to repurpose this house into a daycare centre for children. Her idea was to transform the house into a little paradise step by step. 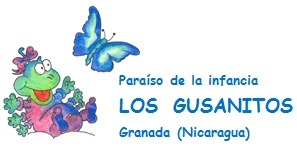 On May 1 in 2012 she opened the Paraiso de Infancia “LOS GUSANITOS“ Tamarindo I which she managed to fund from her widow’s pension and where she is now hosting 50 children. Priska Buchmann Scherer was not able to accept the fact that her children’s paradise Tamarindo was only a drop in the ocean. Very soon after, she had the desire to open a second daycare centre. On May 1 in 2017 it was reality: Due to the help of many partners and sponsors we opened the doors of Paraiso de Infancia “LOS GUSANITOS“ Tamarindo II, for an additional 50 children. Two oases of calm and harmony that give a little more hope to 100 children and their families.